The Washington Pop wonders Did Oprah actually hurt book sales? 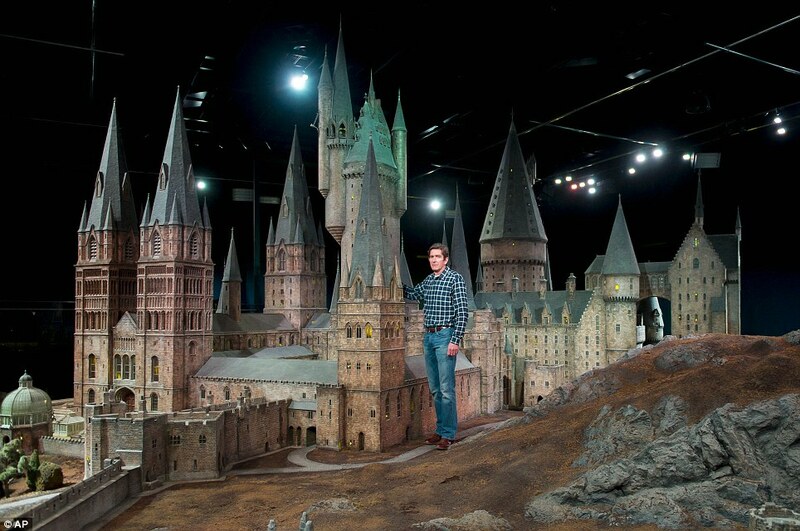 The scale of the Hogwarts Castle model used on the set of Harry Potter is revealed for first time! The reports on gender in media from 2011 have been released. Here’s a good summary of the Paypal/Smashwords Controversy. Lastly, read this bizarre tale of an internet plagiarist. 500 New Fairytales were discovered in a vault there! You can read one of these new stories here, called The Turnip Princess. We also now have J. R. R. Tolkien’s response to his German publishers inquiring as to his ancestry in 1938. Natalie Whipple blogs about 10 Things I Wish I’d Done Differently. Agent Wendy Lawton posts about Performance Anxiety for the Published. Are publishers getting into Tumblr? Publishers Weekly thinks so! Print Book sales fall in the UK. Why are there so few standalone books (something I’ve been wondering lately)? Writers Beware writes about why poets should not seek literary agents. Agent Rachelle Gardner talks about how authors can use Goodreads effectively. How do you market fiction versus non-fiction? Check out this article on thinking about the big picture. Here’s some advice on how to deal with haters and criticism. Do you need to file taxes as a writer? ‘Bout that time to find out! Ever wondered what winning the Taylor prize feels like? A tutorial on better author branding through properly choosing your domain! Read Orwell’s rules for writers. Here’s a great list of 12 things that will kill your blog post. Do you have one of these seven symptoms of a terminally-lazy writer? Did you know “write what you know” isn’t about knowledge, but emotions? Also, the long-awaited Sh*t Writers Say, followed by annoying Stuff Non-Writers Say by the fabulous Jackson Pierce! The Guardian talks about the rise of book trailers. Fab agent Rachelle Gardner on how to make your own successful book trailer! On the other side, Fuel Your Writing talks about how there’s no such thing as a good book trailer. But you can decide for yourself—check out these debut book trailers from the past week! Croak by Gina Damico: A YA about a girl who finds out the truth about the family business – Grim Reaping! Unraveling by Elizabeth Norri: A YA about a girl brought back from the dead by a mysterious loner from her high school. The Star (La Estrella) by Javi Araguz and Isabel Hierro: This gorgeous trailer is for a book published in over 20 Spanish-speaking countries, though it’s not available in English – yet! Chloe by Peter McCarty: A picture book about a family of bunnies trying to entertain themselves. Balthazar by Claudia Gray: NY Time Best-Selling author Claudia Gray expands on her series with fan-favorite vampire character Balthazar. Stay Close by Harlan Coben: A mystery colliding the lives of three characters in a suburban setting. Charlotte’s Web 60th Anniversary Trailer: Need we say more? The Mapmaker and the Ghost by Sarvenaz Tash: An MG about a girl who starts her own exploring group. All right guys, did I miss anything wonderful? Share your stories and trailers in the comments! Sav, what a fantastic round up! I’m clicking like crazy! This was a great roundup. Thank you!! When I saw the link to Tolkien’s letter, I was like, “OH SNAP. This is going to be good.” It didn’t disappoint. I was actually thinking about fairytales earlier on today. I don’t think there are any non-heterosexual romances in classic, or modern, fairytales. Why is that? Is it kind of like: “Oh my god hide it from our children!” But isn’t that helping this small portion of haters in our society towards gay men and lesbian women? Why aren’t there non-hetorosexual fairytales? So sad to hear of Jan Berenstein’s passing – great books! I don’t mean to be nitpicky, but you spelled Jackson’s last name wrong! It’s Pearce, not Pierce. Otherwise, awesome post! So much cool stuff to check out.